XEKONG - Xekong province, located in the heart of southeastern Laos, is not very developed but is a favourite with tourists who enjoy trekking in the deep forest and learning about the lifestyle of ethnic people. Xekong shares borders with Saravan province to the west, Champassak and Attapeu provinces to the south, and Vietnam to the east. The province is well-known for its rugged and scenic terrain, but transportation is very difficult, especially in the rainy season. However, if you are adventurous and like to learn about new things, Xekong could be the perfect getaway from the pressures of the modern world. There are several villages and small towns, such as Lamam, Kaleum, Dakcheung and Thataeng, where most people still depend on traditional farming for their survival. The Xekong River valley is characterised by fertile plains patterned with a patchwork of rice paddies and fruit orchards. The rich tropical forest is home to many rare species of flora and fauna. The Xekong River, which divides the province, flows in a southern direction into Cambodia and is navigable by boat. Long-tail boats are used on the river, giving tourists a glimpse of the scenic routes on the edge of the Bolaven Plateau. Xekong has a lot of beautiful waterfalls, a common feature of the river valley. Some of the popular waterfalls are Tad Hia, Tad Faek and Tad xe Noi (or Tad Hua Khon). The most famous waterfall is Katamtok, located on the Huay Katam River, deep in the forests of the Bolaven Plateau. However, the province is among the most remote areas of Laos - even some of its largest villages are virtually inaccessible by road for at least half the year – and the infrastructure is poorly developed. The eastern districts of Dakcheung and Kaleum in particular are characterised by mostly mountainous terrain that is rugged and difficult to access. 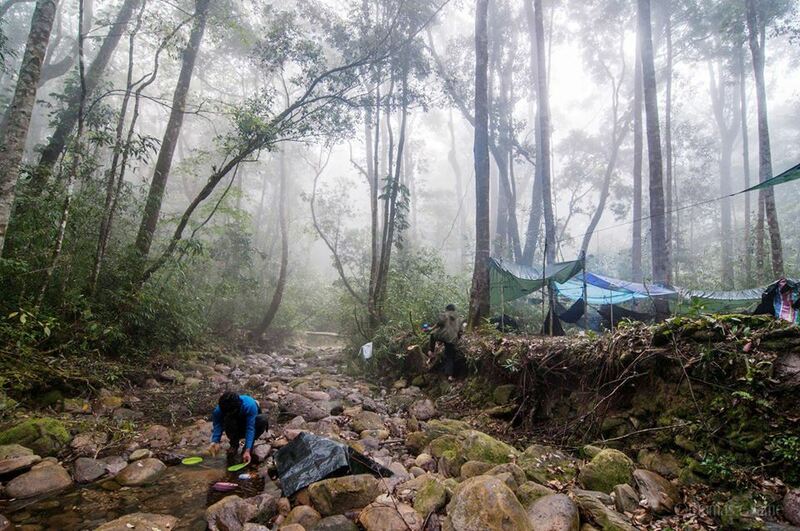 This isolation has meant that the area’s forest cover, biodiversity and ethnic traditions have changed less in recent years than in other parts of Laos. The province has become less isolated in recent years, with the upgrading of a major road up from the Mekong valley city of Pakxe, and two major road projects connecting Xekong to Vietnam. Road infrastructure backed by Vietnam is part of a regional development strategy spearheaded by Hanoi called the Development Triangle Initiative. This aims to develop links between Vietnam and neighbouring underdeveloped provinces in Cambodia and Laos. Xe Sap National Protected Area, located between Saravan province and Xekong province, has forests and wildlife preserved by the World Wildlife Fund since 2012. Xe Sap has a great number of plants and animals, including some newly discovered species of animals, insects and orchids that have attracted the interest of biologists from across the world. The unspoiled nature and wildlife in Xe Sap are a special attraction for tourists who love biodiversity. Tourists can book trekking tours with local agencies for an adventurous romp into the deep jungle that will allow them to catch a glimpse of rare animals and to learn about the lifestyle of ethnic groups, which welcome even strangers. The ethnic Pako, Ta-oy, Katang, Katu and Ngae villages are located inside the protected forest or on its periphery, as is a section of the Ho Chi Minh Trail and its war relics. Many people here practice the Lao Theung culture with strong spiritual ties to the land, and the Xe Sap National Protected Area has many graveyards and sacred forests. Each ethnic group speaks a different Lao Theung dialect, of which one is known to be in danger of extinction. Authentic home-stays in ethnic villages are something tourists shouldn’t miss. Trekking in Xe Sap enjoys an enviable world reputation as a quality ecotourism experience that conserves nature and ethnic culture. Visitors can participate in single or multiple day treks in Xe Sap, led by qualified and informed eco-guides. Bookings can be made with reputable tour operators in the larger towns. The main access points are along the Saravan-Ta-oy-Samuay road, which is mostly unpaved and currently undergoing an upgrade, making it impassable during the rainy season, except for the most ardent motorcycle riders. From this road, small access tracks lead to villages on the Xe Sap National Protected Area’s northern frontier.